“You can get more with a kind word and a gun, than you can with just a kind word”. Or words to that effect have been attributed to mobster Al Capone back during the ‘roaring twenties’ when he virtually ruled Chicago. And it took an “Untouchable” to finally send him “up the river” as they say. Fast forward to 2019 and the Chicago Way has become the way of doing business for Democrats in Washington, led by the new Speaker of the House Nancy ‘No No’ Pelosi and ‘Lyin Cryin’ Chuck Schumer. Sincerity just oozes out when ole Chuck and Nancy step before a microphone. Well, something oozes out anyway. The fake tears and looks of concern on their faces are for public consumption only. And sadly they actually believe that Americans are stupid enough to believe their ridiculous ‘act’. The difference between Al Capone and the Democrat Party leadership is that while Capone tried to pass himself off as nothing more than a legitimate businessman selling used furniture, and Democrats try to pass themselves off as ‘dedicated public servants’. The reality is much different. Capone was a villain and criminal, and Democrats operate as a corrupt crime syndicate dedicated to ripping off the American people. 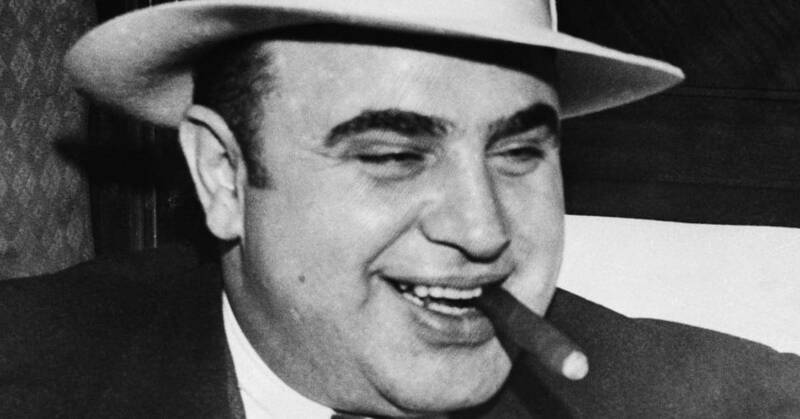 It took Elliot Ness to defeat Al Capone, and it’s taking President Donald Trump to defeat the Democrats. Capone fought fiercely against the Untouchables, just as Democrats and the ‘Deep State’ are fighting fiercely now. 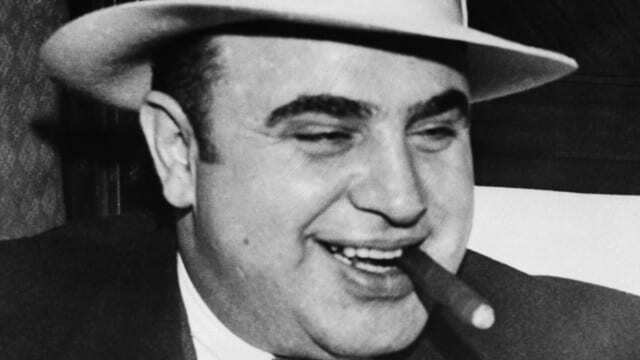 While Capone actually peddled ‘products’ that much of the public wanted – bootleg liquor and other vice – the Democrats provide nothing really useful at all. In fact what they provide – other than comic relief when one watches them on television – is something few Americans really want. Like billions of dollars in foreign aid when President Trump can’t get five billion dollars to help make America safer. Democrats only produce higher taxes, more regulation, and a holier-than-thou attitude that they try to lord over us when they tell us what we should or shouldn’t be doing. Barack Obama was a master at lecturing us over and over that “it’s not who we are” when he was trying to sell us more snake oil disguised as some policy or initiative his administration was trying to force upon an unwilling nation. Speaker Pelosi and Minority Leader Schumer simply do not understand the great unwashed that they preach to. They can’t relate to anyone who hasn’t been a Democrat politician for at least a couple of decades. That is evidenced by the dog and pony show they put on following President Trump’s recent national address on border security. The hilarious ‘memes’ that started appearing on social media almost before they finished talking is evidence of that. They just don’t get it, Americans are interested in results, not political posturing. Americans want government to work for them, not solely for a political party. But Pelosi and Schumer really have no shame. They will lie repeatedly to the American people without flinching, knowing full well that the traditional news media will swallow completely and regurgitate back out whatever message the Democrats approve. To the traditional news media and their favored party what matters is political power only, not the truth. Since assuming the gavel as Speaker of the House Nancy Pelosi has once again provided us with lots of belly laughs but no leadership. As she dances to the tune played by the far left wing of her party Pelosi will say or do whatever they demand simply to maintain her hold on power within her own party. And Chuck Schumer is nothing more than a career politician who has never held a real job in his life. He hasn’t a clue what is important to working class Americans. But if there’s a television camera around good ole Chuck will jump in front of it. Something he did before he rose to his position as Senate Minority Leader. It was actually funny watching Chuck when he was just a senator squirm around trying to get in front of a TV camera whenever one was around. Democrats accuse President Trump of “manufacturing a crisis” over the U.S. Southwest Border issue, when the reality is that Democrats continue to pontificate and manufacture scandals like the discredited Russia Collusion investigation currently wasting lawmakers time in Washington. Their time that would be much better spent working together with Republicans to address the real problems facing our nation. Like the caravans of illegal aliens attempting to invade our country. The real crisis that Democrats call “manufactured”. Al Capone may have been a gangster, but he had nothing on the current crop of Democrats in Washington, D.C.